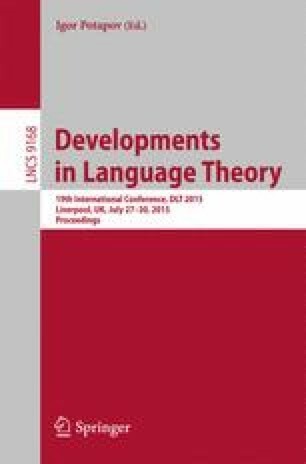 This paper proposes monads as a framework for algebraic language theory. Examples of monads include words and trees, finite and infinite. Each monad comes with a standard notion of an algebra, called an Eilenberg-Moore algebra, which generalises algebras studied in language theory like semigroups or \(\omega \)-semigroups. On the abstract level of monads one can prove theorems like the Myhill-Nerode theorem, the Eilenberg theorem; one can also define profinite objects. M. Bojańczyk—Author supported by the Polish NCN grant 2014-13/B/ST6/03595. A full version of this paper is available at http://arxiv.org/abs/1502.04898. The full version includes many examples of monads, proofs, stronger versions of theorems from this extended abstract, and entirely new theorems.